Soap making is another lost art that has been replaced by large corporations who offer cheaply made, synthetic cleaning agents who add ingredients that are not so skin friendly. By making my own soap I can tell these big corporations that I will no longer be paying them to slowly poison me and also I will be saving money. 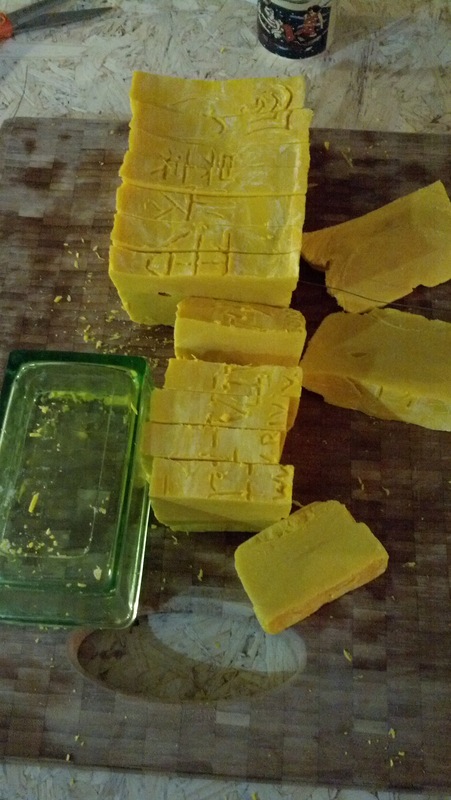 I have outlined the steps and ingredients I used to make my first batch of homemade cold pressed soap. Before you begin please make sure you work in a well-ventilated area and wear goggles, gloves and a long sleeve shirt. Lye will burn your skin if you get any on you. 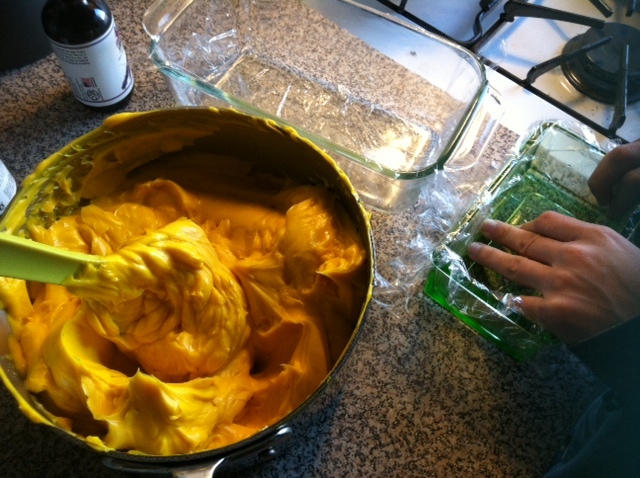 Also I would like to point out that I am not a professional, I am just showing how I made my own soap. 1. 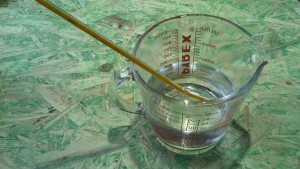 Slowly add lye to the glass bowl of cold distilled water and continually still for about a minute. Be sure all the lye is dissolved. This chemical reaction will cause the solution to get extremely hot before it cools down. 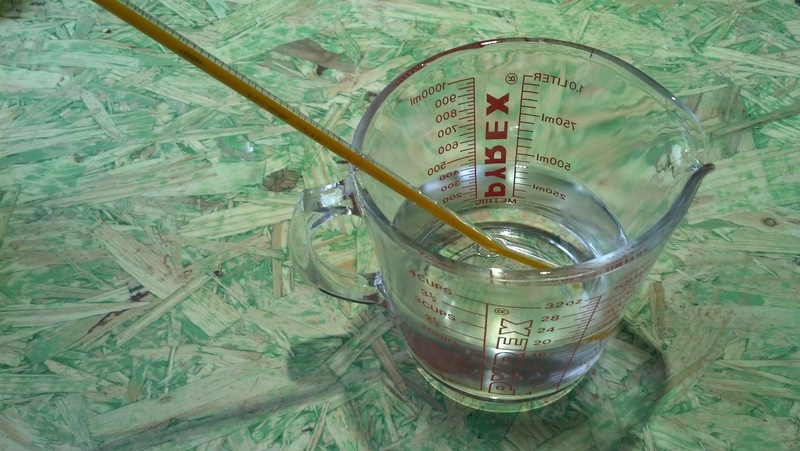 Place one of the thermometers in the bowl and allow to cool to around 110° F. Never pour water into the lye due to safety reasons. You don’t want this to splash onto your skin, it will burn. 2. 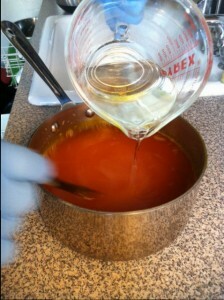 While waiting for lye to cool, mix the 3 oils and heat until they are combined together and also let cool to 110° F.
3. 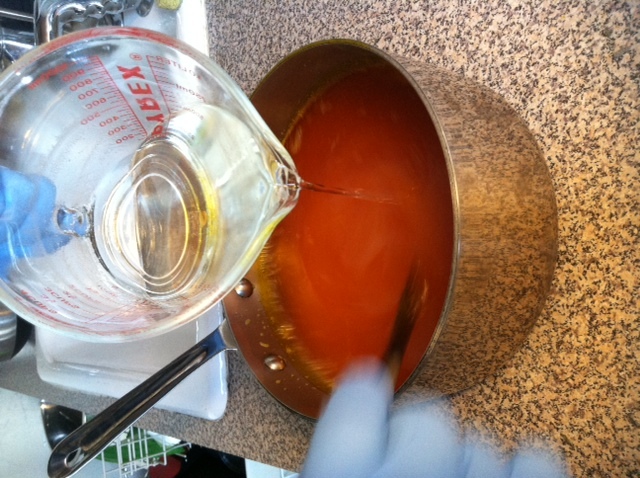 When both mixtures cool down to 110° F slowly pour the lye into the oil, while carefully mixing by hand. 4. 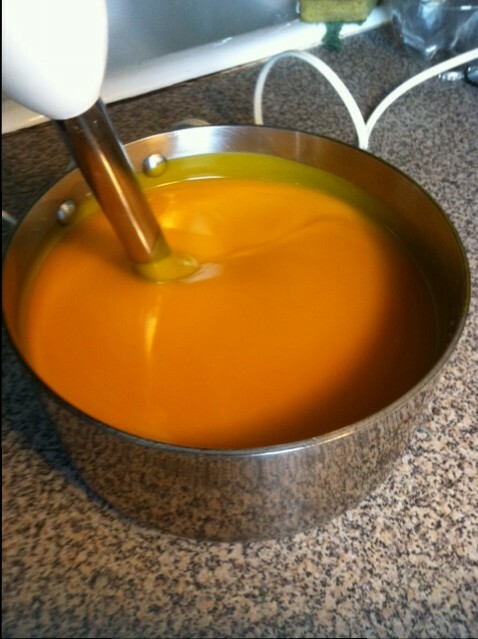 After combining the two, use the handheld blender, on the slow speed, and mix until it reaches the consistency of pudding. This will take up to 15 minutes. At this time you can add in any essential oils. 5. 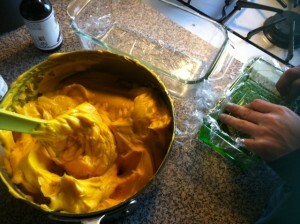 Once the mixture is complete, line the molds with plastic wrap and slowly pour into the molds. 6. Let the molds sit for a few days then carefully remove the soap from the molds and cut into bars. I used an old guitar string to cut the soap. 7. Place the bars onto a brown paper bag and place in a dark area for 4 weeks to cure. That’s it! You now have homemade soap that you know what’s in it and where it came from. Please take some time and try it for yourself.